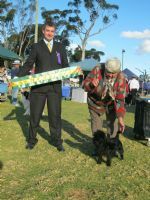 This page contains photos of Graham at various juding appointments around the world. 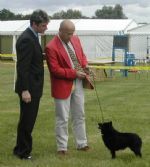 In the UK Graham has judged extensively at Open shows for 20 years. He is also currently a Ch. 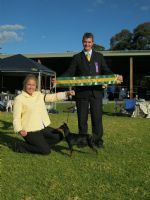 show judge for :- Rottweilers, Schipperkes, Akitas, Japanese Shiba Inus & German Spitz(Mittel & Klein). 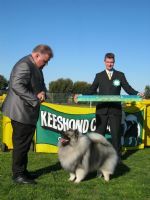 He is also Kennel Club approved to Judge the Utility Group at Ch. show level. 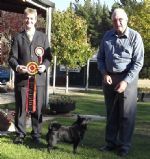 We try to take photos at all of Graham's judging appointments. 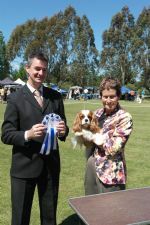 Graham judging Beaudesert KC - QLD. 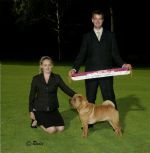 Terrier BIG & R/up BIG 2012. Beaudesert KC - QLD. BIG & R/up BIG Non sporting 2012.